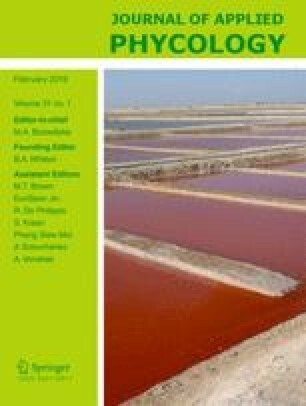 With the aim of identifying an effective and safe technique for reducing contamination by the ciliate, Stylonychia mytilus, in microalgal cultivation, the toxic effects of the natural triterpenoid toosendanin and ammonium bicarbonate on S. mytilus were studied. Toxicity tests showed that toosendanin and ammonium bicarbonate were highly toxic to S. mytilus, with 24 h LC50 values of 6.4 μg L−1 and 0.8 g L−1, respectively. The population density of S. mytilus decreased significantly when exposed to ≥ 2 μg L−1 toosendanin or ≥ 0.4 g L−1 ammonium bicarbonate. In addition, the S. mytilus control effects of toosendanin and ammonium bicarbonate and their safety in Chlorella pyrenoidosa were evaluated. It was found that ≤ 14 μg L−1 toosendanin had no obvious influence on photosynthesis and growth of C. pyrenoidosa and even increased the final cell density, with the highest being 12.3% over that of untreated cultures. Ammonium bicarbonate is the most widely used optimization technique for controlling contamination, but it has limited ability to reduce S. mytilus. Furthermore, ≥ 0.8 g L−1 ammonium bicarbonate inhibited photosynthesis and growth of C. pyrenoidosa, causing a 5.1% reduction in cell density or even a complete crop failure. Based on its high toxicity to S. mytilus and its relative safety to C. pyrenoidosa, together with its low commercial price and ecological acceptability, toosendanin is considered to be a good potential botanical pesticide for controlling S. mytilus contamination in microalgal mass cultivation. This work was supported by National Key Research and Development Program—China (2016YFB0601004) and Hainan Aoji Biological Technology Co., Ltd. We thank Dr. John van der Meer (Pan-American Marine Biotechnology Association) for his assistance with proofreading.